This bar is serving great kushi (spit-cooked foods) with low prices in Shinbashi, Tokyo. 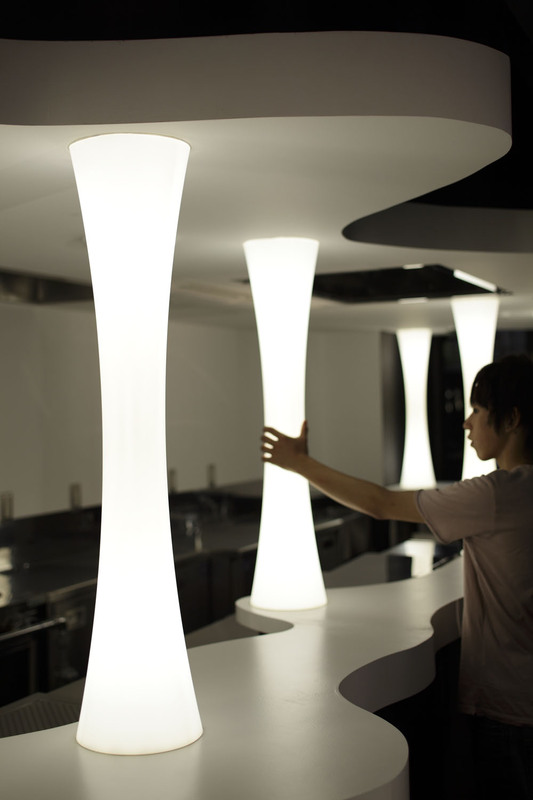 The concept is “SKY” a white space between clouds. 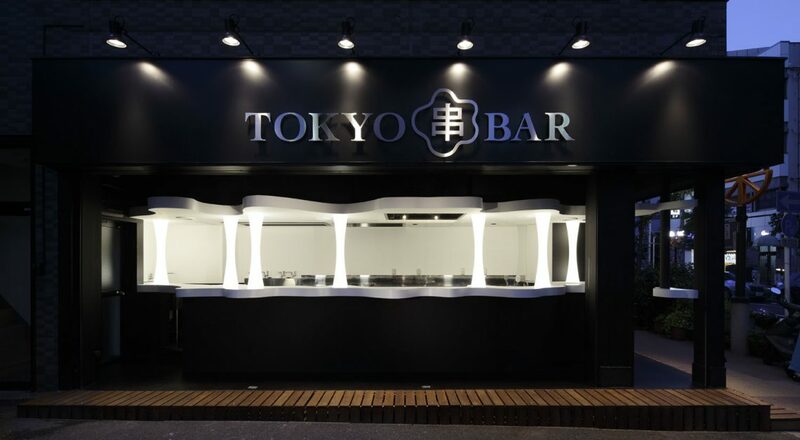 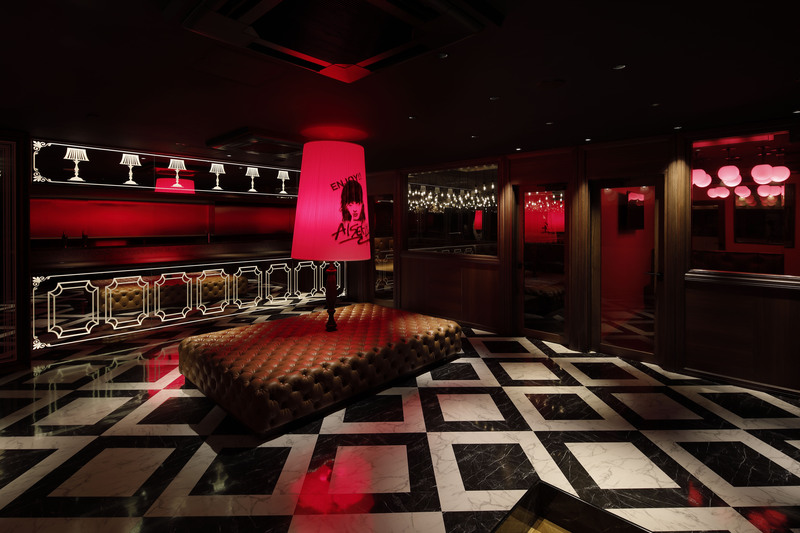 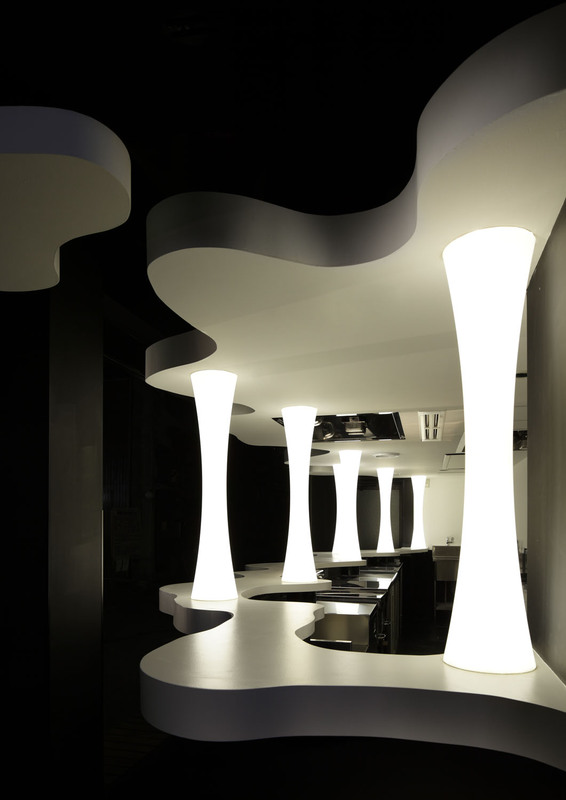 The lighting pillars made of solid surface are one of the kind and you will only find the marble in this shape at “TOKYO kushi BAR.” It definitely worth the visit to the bar to see the pillars!